No time to create a parent handout for the month? Here's one for September! 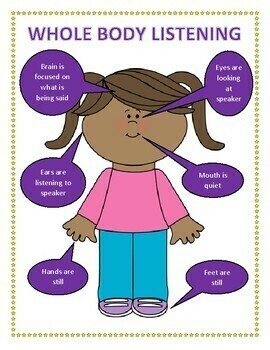 The skill of the month is WHOLE BODY LISTENING. 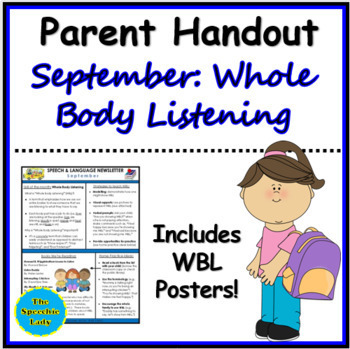 This product includes a 1-page handout for parents with general information, strategies for teaching whole body listening, and home practice activities. 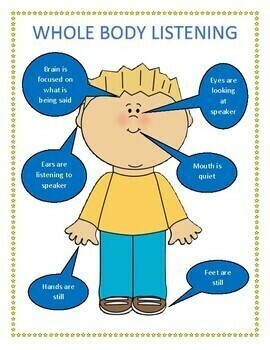 A girl and boy visual of whole body listening are also included.